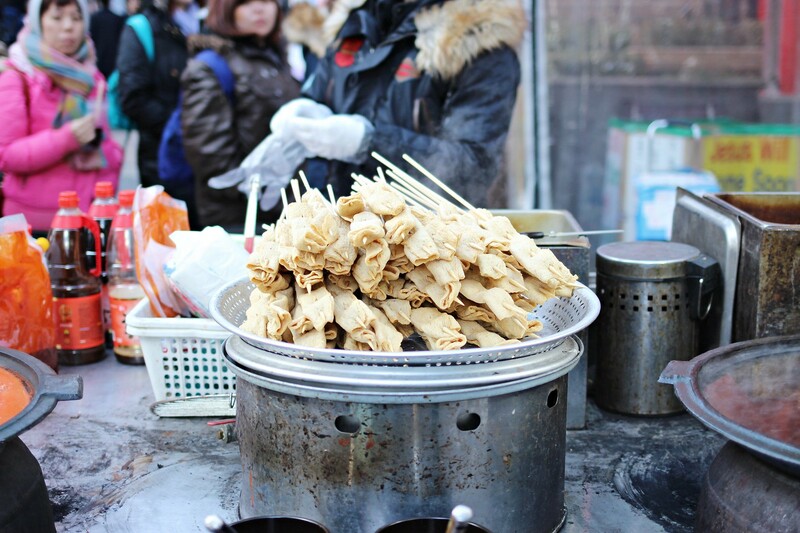 A month since my Korea trip, and I’m still hung up on everything I ate there… from my simple triangle kimbap breakfasts to hearty barbecued meats. Even Churros 101 felt like heaven on a 1 degree Celsius night out shopping. P.S. Watch out for photo spam ahead. 1. 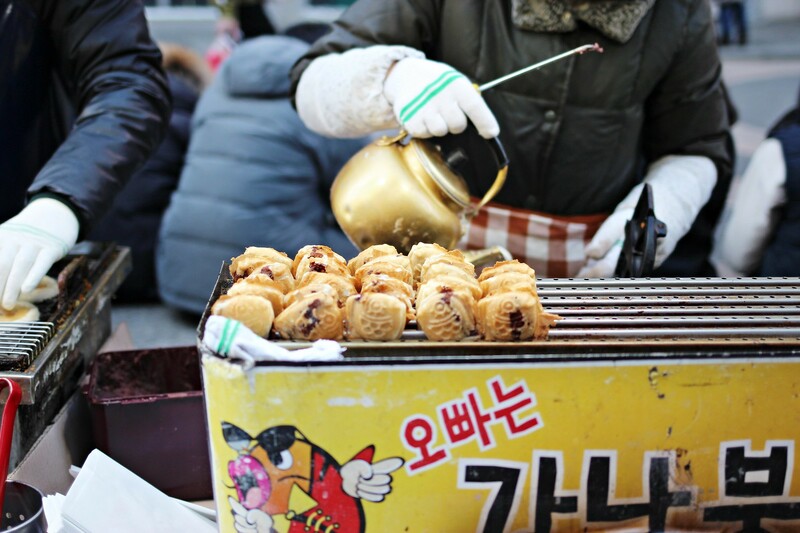 Korean street food – Forget gloves and heat packs. 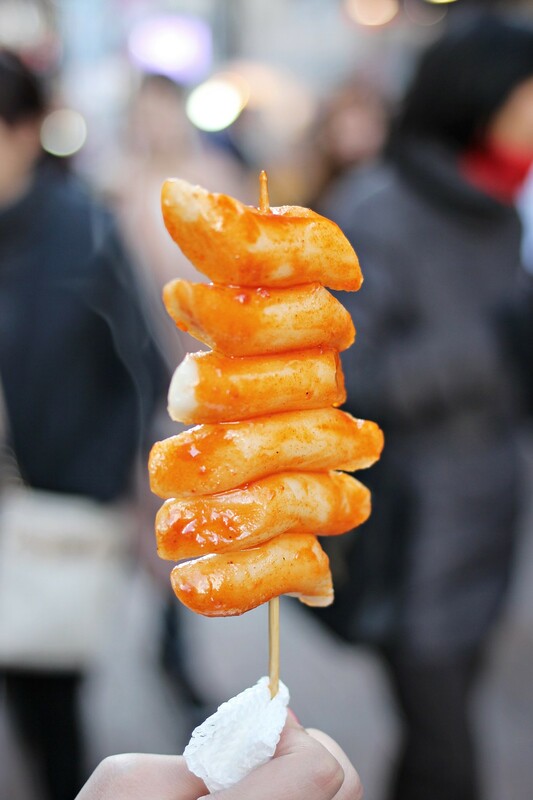 All you need is Korean street food to keep both your lips and tummy warm while you shop along the streets of Myeongdong. 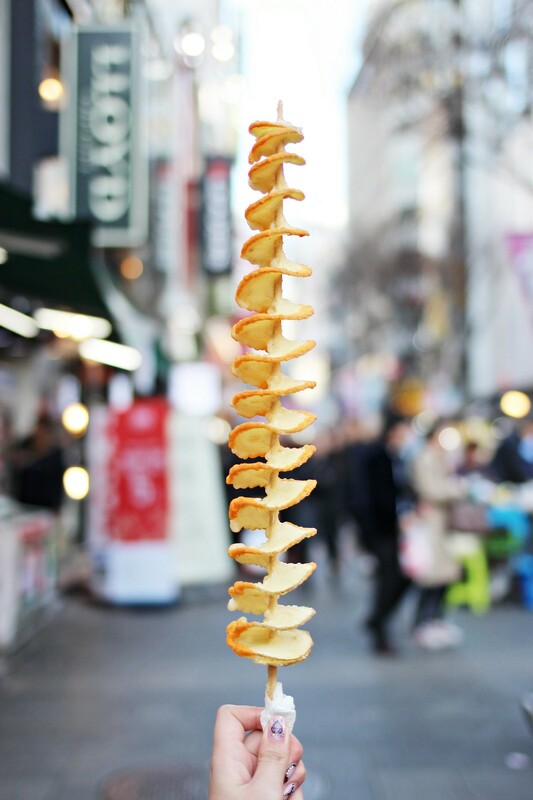 For instagram-worthiness, the tornado potato or the twister potato is a must (got mine dipped in cheese). 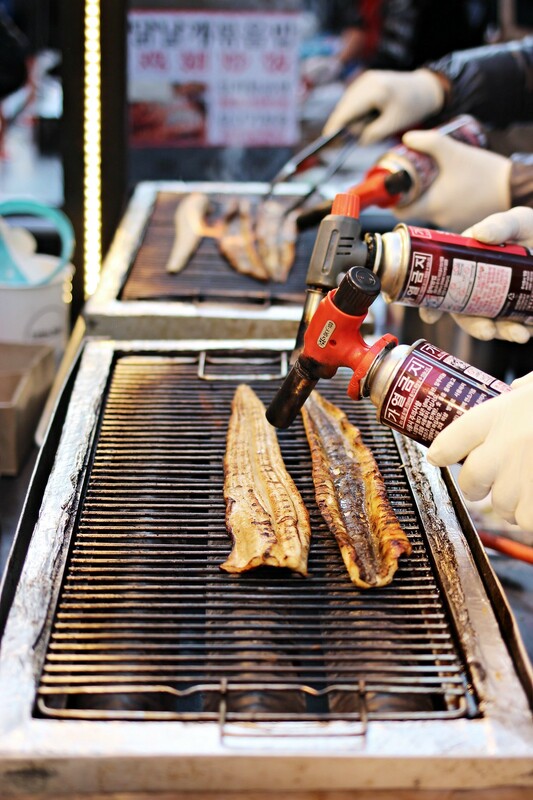 For something luxurious, try the grilled eel which the vendors will blow-torch in front of you. And yes, it was tasty as hell. 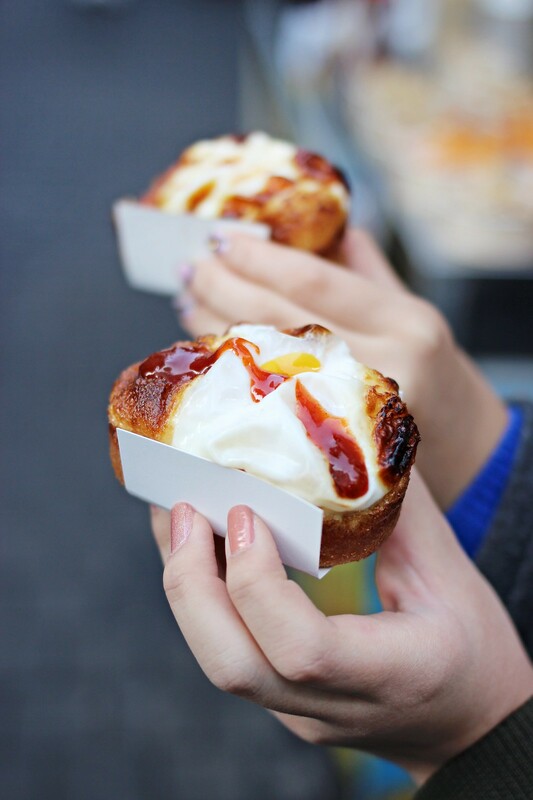 For the sweet teeth, there are items like my favourite honey or red bean hotteok (filled Korean pancake) and crazily tall soft serve ice creams. 2. 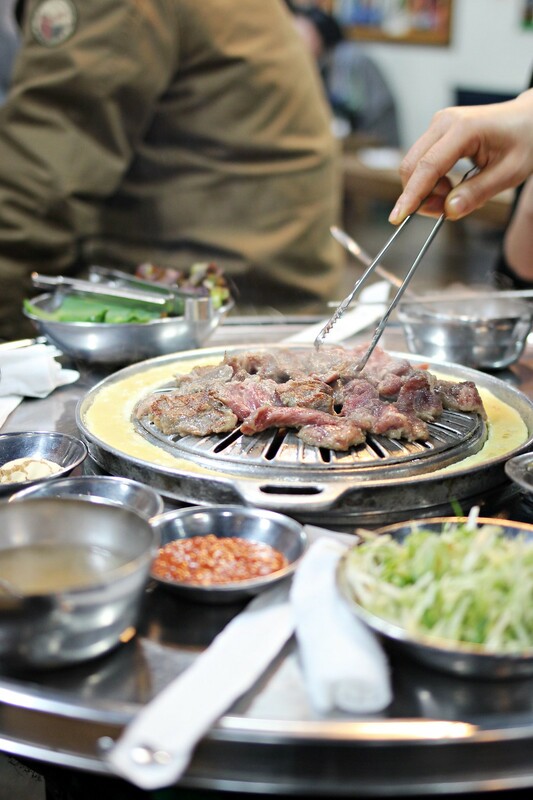 Authentic Korean BBQ – Be ready to revel in the buzz of nondescript barbecue restaurants. 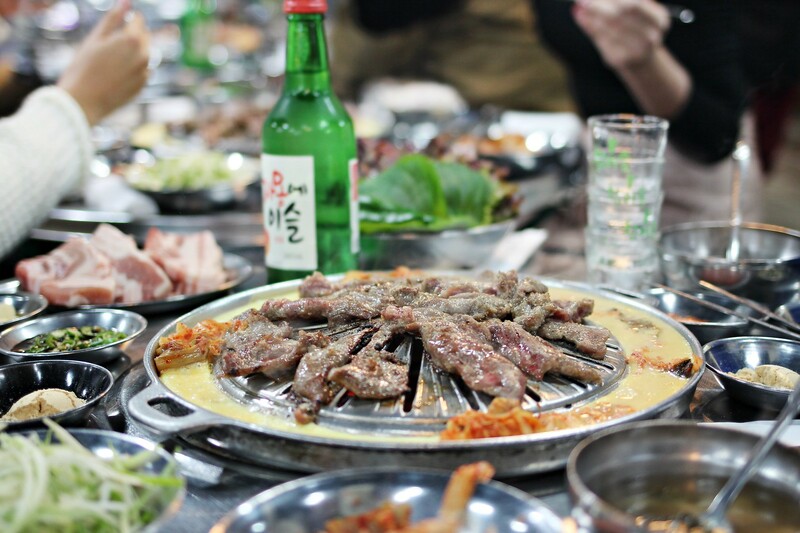 The voices of grown (and possibly drunk) Korean men may be slightly off-putting and you may leave with a less than pleasant smell on your clothes, but trust me, you will miss this experience. Mapo Jeongdaepo – 183-8 Dohwa-dong, Mapo-gu. Gongdeok subway station exit 8. 11am – 2pm daily. 3. 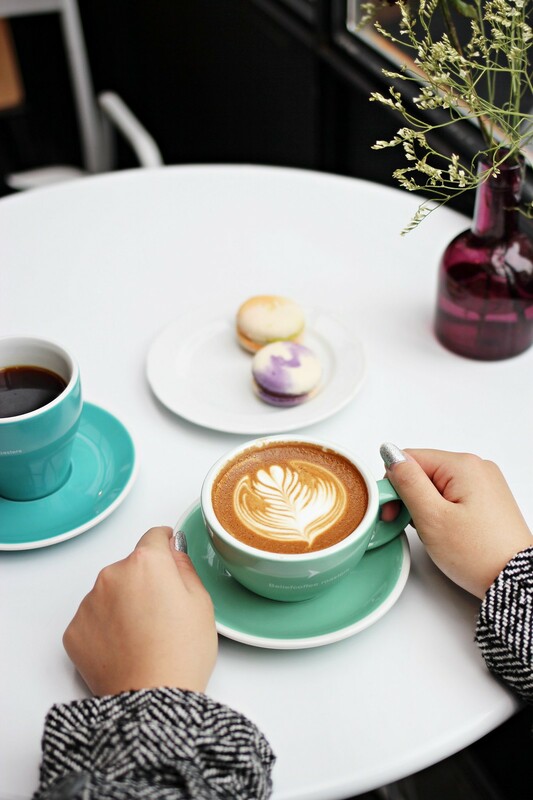 Hipster cafes – A must for coffee lovers and especially the café-hopping instagrammers out there. 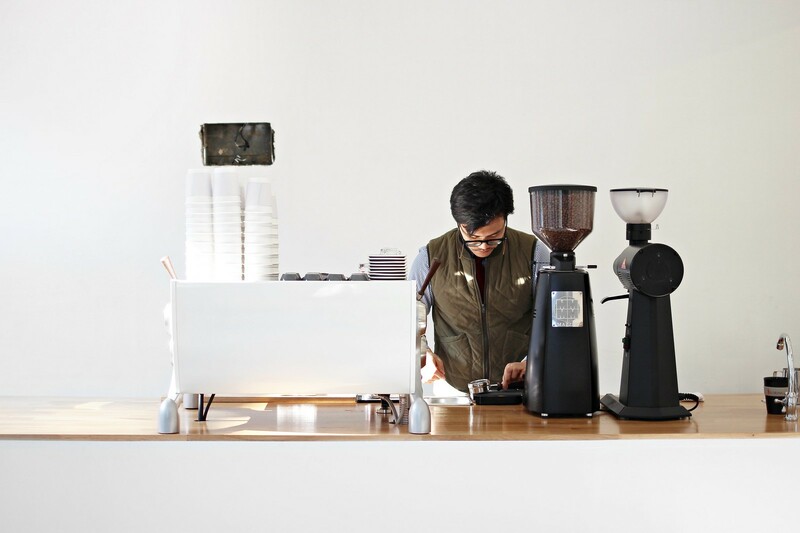 Sadly, coffee in Seoul is a little pricier than that in Singapore, but go for the quality and experience anyway. Out of the many cups I’ve had there, I did not get disappointed by any one of them. I was also amazed by the work put into the interiors of the cafes there, and just how they have gigantic units for cafes. I say ‘gigantic’ in comparison to our local cafes. 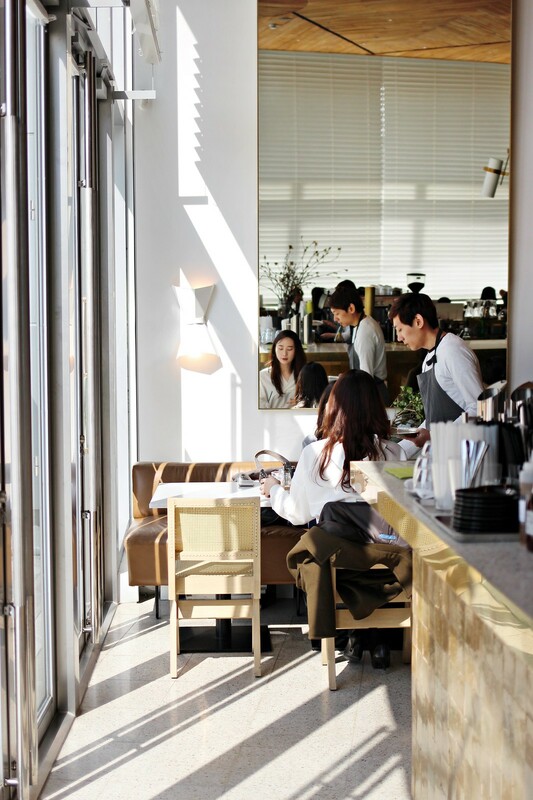 Read my guide to 5 Cafes to Visit in Seoul here. 4. 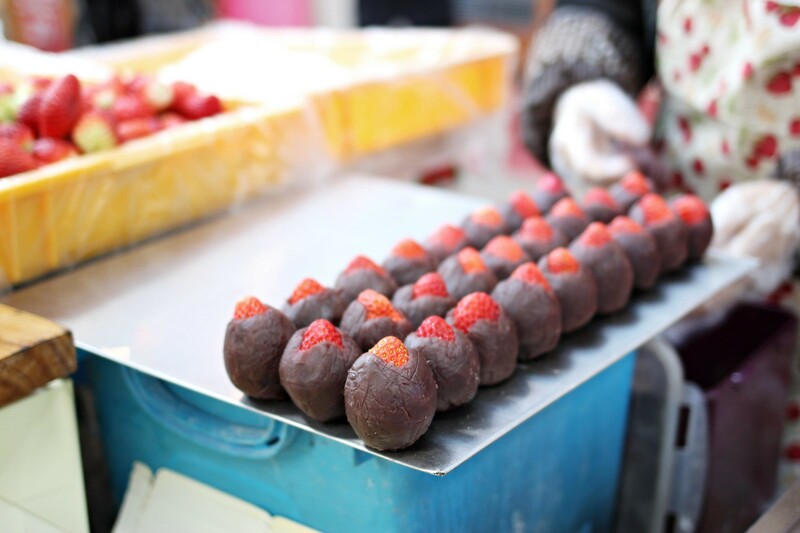 Sweet treats you won’t find better elsewhere – Who says only the Japanese do great stuff with green tea? 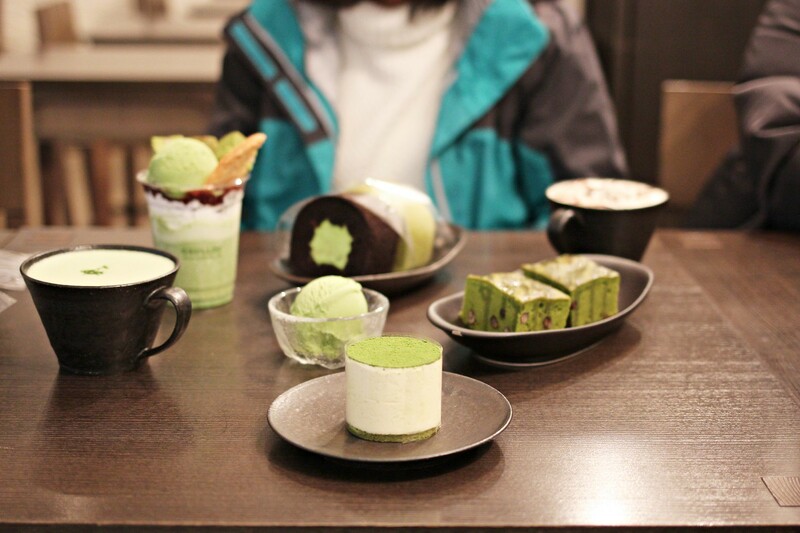 The renowned green tea desserts at O’sulloc Tea House are not only refreshing but are light on the tastebuds and are not cloyingly sweet. Don’t forget to pack some jars of green tea milk spread home! 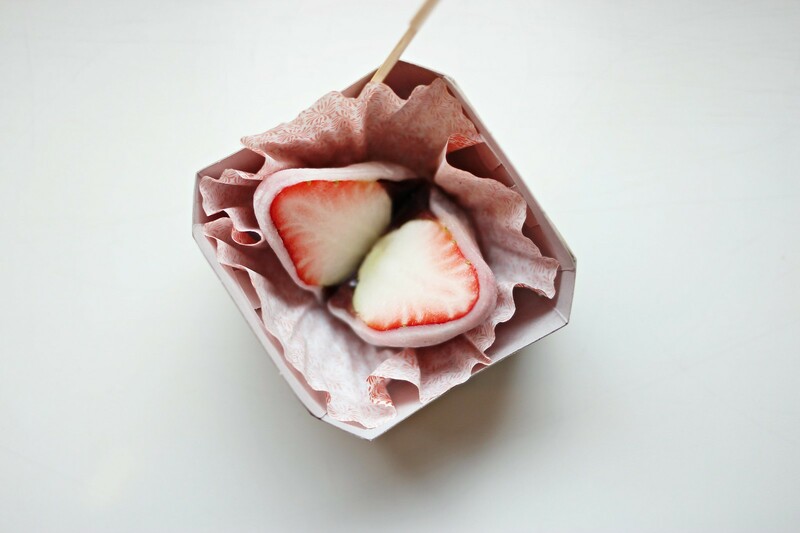 O’sulloc Tea House – 12, Myeongdong 7-gil, Jung-gu. Myeongdong subway station exit 6. Sun – Thu 9am – 10.30pm, Fri & Sat 9am – 11pm. We also chanced upon this quaint little store in Garosu-gil selling mochi fruits, and they looked as pretty as they tasted. 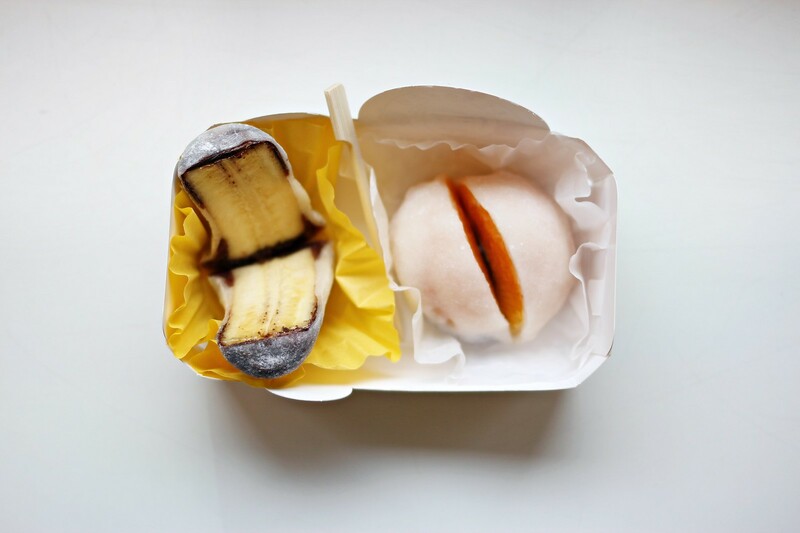 Mochi Story. Made by Minsu – 2F, 40, Gangnam-daero 152-gil, Gangnam-gu. Sinsa subway station exit 8. 10am – 9pm daily. 5. 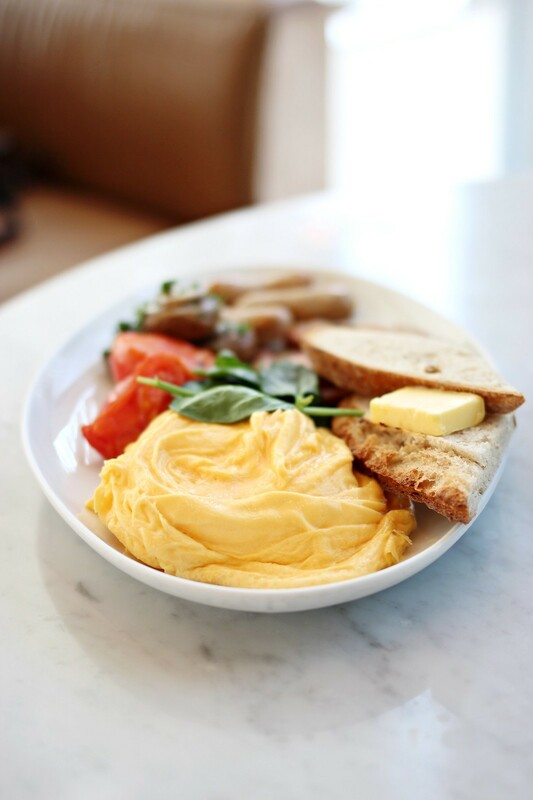 Western brunch – I know it’s hard to ever get sick of Korean street and traditional food, but a superb western brunch should never be missed. Bills restaurant which has Aussie origins opened two restaurants in Seoul not too long ago, and is a brunch haven for many Koreans. 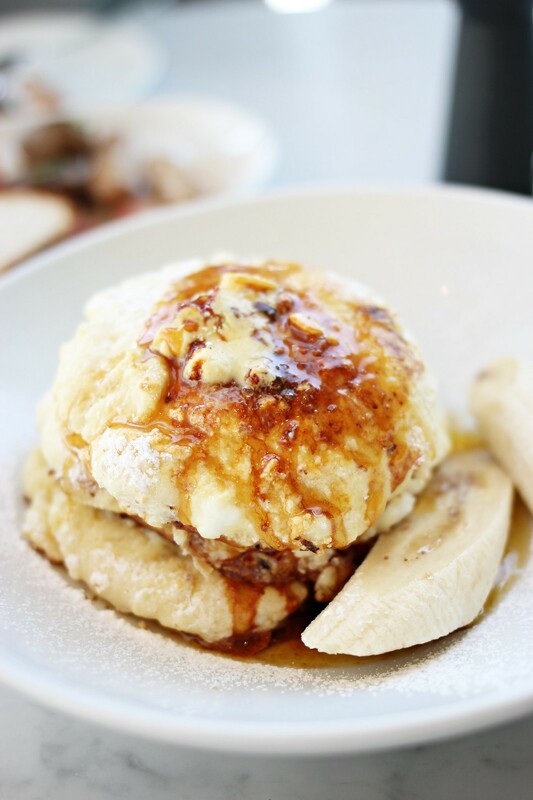 Recommended items are the Ricotta Hotcakes with Banana and Honeycomb Butter and the Full Aussie. Check out my full review here. 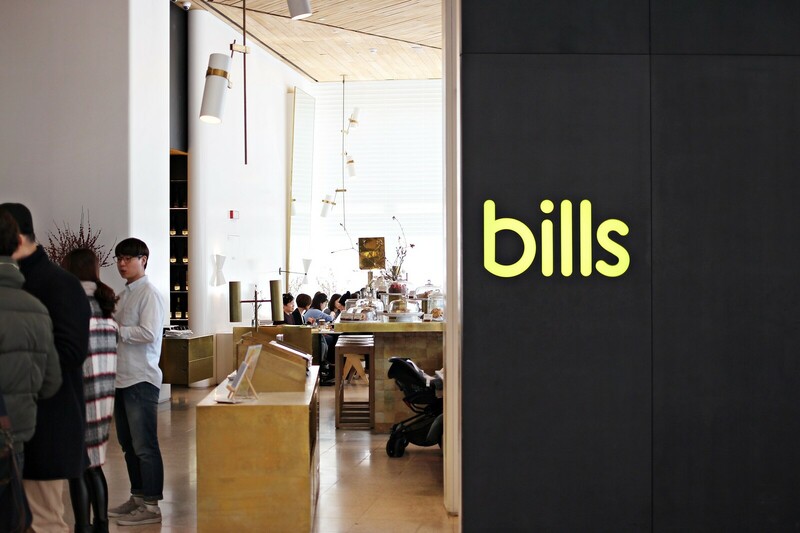 Bills – 1F Lotte World Mall, 300 Olympic-ro, Songpa-gu. Jamsil subway station exit 11. 8am – 11pm daily. 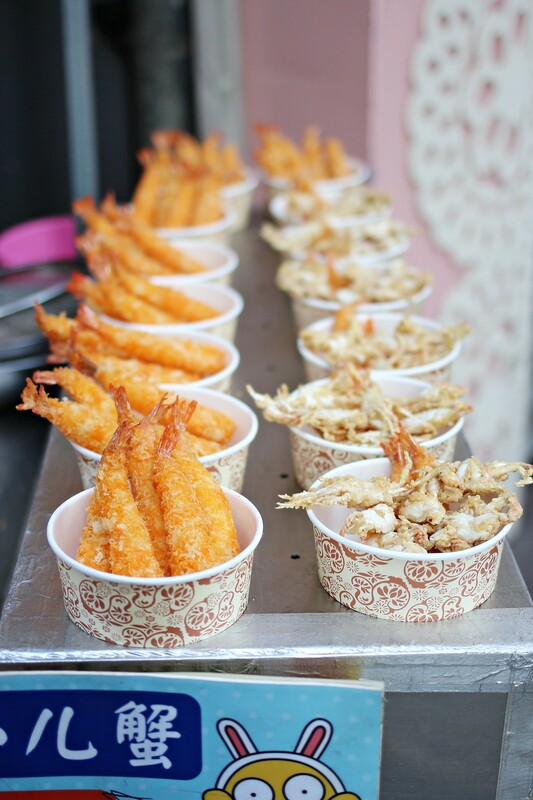 Andongjang – For Korean Chinese comfort food. Specializes in jjajangmyeon (thick noodles with black soybean paste) and tangsuyuk (sweet and sour pork). 315-18 Euljiro 3-ga, Jung-gu. Euljiro 3-ga subway station exit 10. Mon – Fri 11.30am – 9.30pm, Sat 11.30am – 9pm, Sun 11.30am – 8pm. Chuncheonjip Dakgalbi Makguksu – Order the cheese dakgalbi set and get drooling! Specializes in dakgalbi (spicy, boneless grilled chicken). 1, Yonsei-ro 5ga-gil, Seodaemun-gu. Sinchon subway station exit 1. 10am – 6am daily. 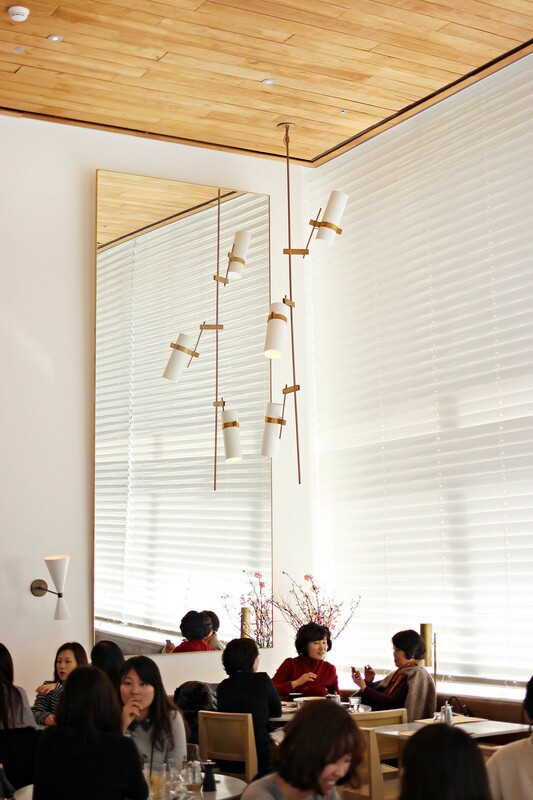 Elbon the Table – Owned by South Korean celebrity chef Choi Hyun Seok. One of my most memorable fine dining experiences till date, where every course felt like a main course and we were simply stuffed to the brim. 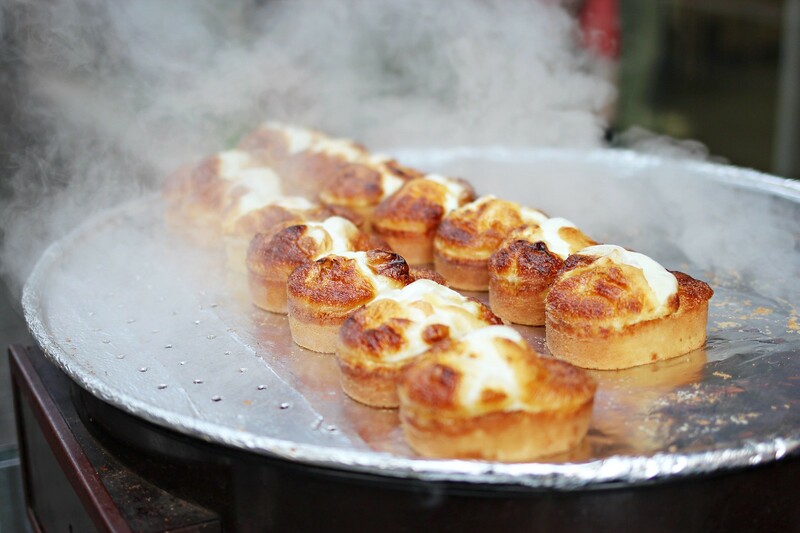 Also featured on the latest episode of Running Man (Ep 291, the restaurant Gary and Jihyo went to). 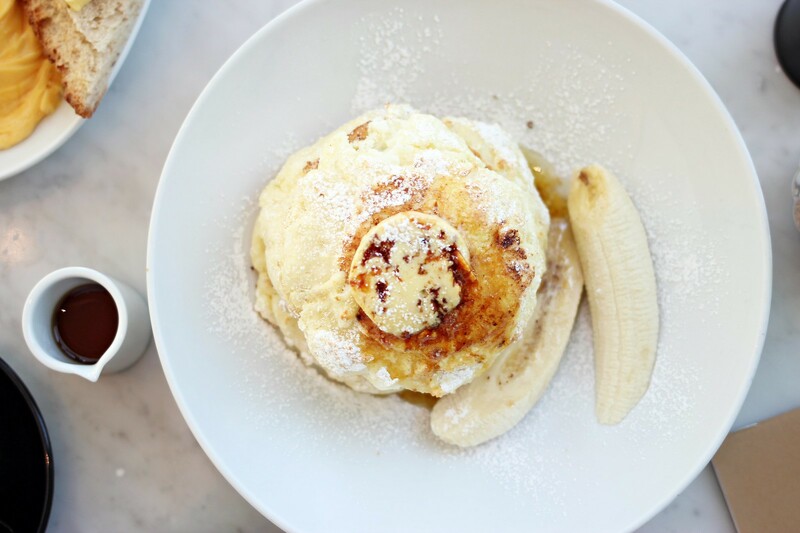 Specializes in modern European cuisine with a Korean twist. 530-5, Sinsa-dong, Gangnam-gu. Apgujeong subway station exit 6. Mon – Fri 12pm – 3pm, 6pm – 11pm, Sat 12pm – 11pm, Sun 12pm – 10pm. 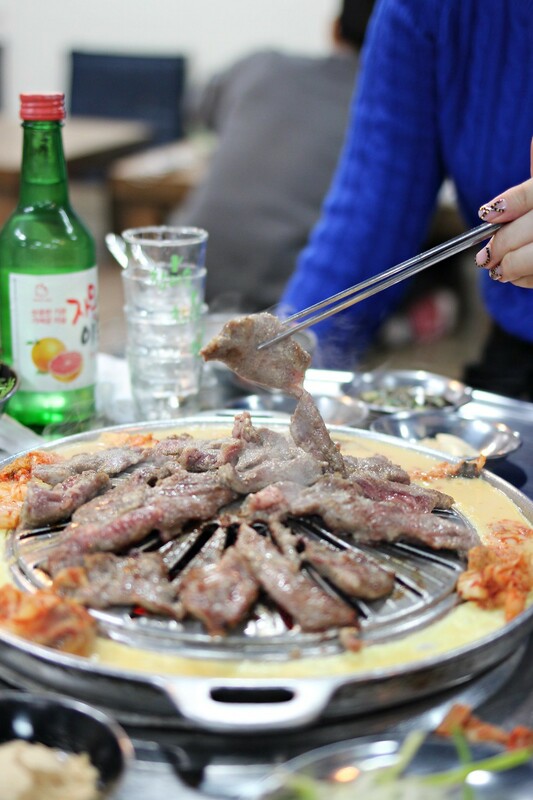 HanCook – A Korean buffet restaurant in N Seoul Tower. A truly romantic place for dinner, what with the panoramic view of Seoul. 1F, N Seoul Tower, 105, Namsangongwon-gil, Yongsan-gu. Myeongdong subway station exit 3. 11am – 11pm daily. Maple Tree House – Where I had one of the best beefs of my life. Specializes in hanwoo (Korean beef). BF1 Mokhwa Milart, 113, Teheran-ro, Gangnam-gu. Gangnam subway station exit 1 or 12. Mon – Sat 11.30am – 11.30pm. 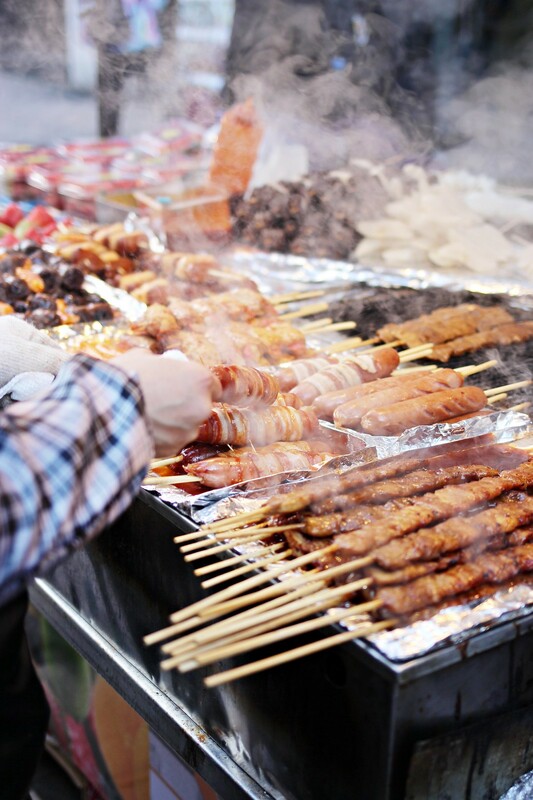 Samgeori Butchers – A must-visit for YG fans. Bigbang, 2NE1, Winner and Lee Hi have all visited before. 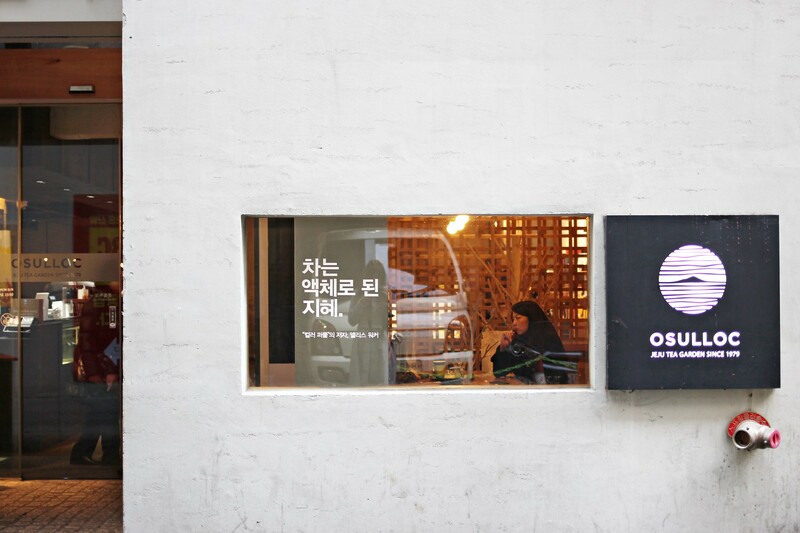 Epik High’s studio is also right across. Specializes in barbecued pork. 1F, 361-10, Segyo-dong, Mapo-gu. Sangsu subway station exit 1. 11.30am – 2am daily. Wow, there are things in this post I haven’t even tried yet, and I currently live in Korea! Thanks for the great pictures. I’m probably going to visit O’sulloc Tea House soon! Hey dear! Thanks so much!! They are comments like these which keep me going 🙂 Hmm not sure if I’m able to do a professional-sounding piece on a photog tutorial though.. I don’t really abide by any “rules of photography”.. Haha I believe in keeping things like lighting and composition as natural as possible without making them look too forced. I’m also into bokeh so I always try to get the shallowest depth of field as possible!